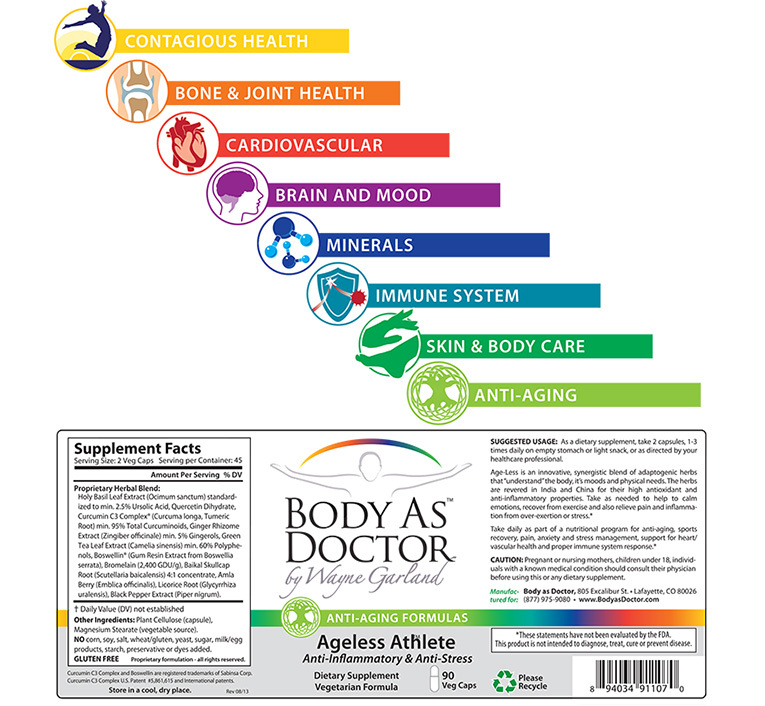 “Your body is your own best doctor and it knows how to heal itself with proper support” is the underlying philosophy of this nutritional support and wellness awareness company. Founded by Wayne Garland. Underlying this logo re-design is the idea of DaVinci’s Vitruvian Man on human proportions The purpose of the illustration is to bring together ideas about art, architecture, human anatomy and symmetry in one distinct and commanding image. The Body as Body logo is a modern version of that. The packaging series covered 0ver 76 different products that came in 6 different sizes and shapes of bottle containers.